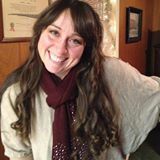 This year CSANR sponsored registration for several WSU students to attend Tilth Producers of WA annual conference. We will be posting reflections written by the students over the next several weeks. Please feel free to comment and give these students your feedback. I am currently a graduate student at WSU earning a Master of Science degree in Agriculture. My focus is on sustainable agriculture and soil science, so having the opportunity to attend the Tilth Producers of Washington annual conference was very exciting! I was able to attend many interesting workshops including one discussing water use and irrigation management given by Dr. Troy Peters – a WSU Extension Irrigation Specialist/Associate Professor in Prosser, WA. I looked forward to this workshop expecting to learn more about current water management knowledge and practices that I could use to help develop my fledgling research proposal that, if funded, would be my project for a PhD. Well, I did learn basic irrigation set-ups, uses and maintenance tips for water use efficiency. I also realized that water use and management is connected to other sustainability issues, like energy use and food production. I was aware of the energy security issues that have led to a recent focus on efficiency and alternative energy sources, aimed at lessening our dependence on fossil fuels. In several of my classes, I have been exposed to issues about food security, not only worldwide, but right here in our own backyard. I was knowledgeable about current concerns with water supply, quality, availability, and adequate rations for all organisms that require it to survive. Pistachios are a water-intensive crop. Photo L. Turner, via Flickr CC. I knew of these issues separately, but Dr. Peters highlighted their interconnectedness, referred to as the Food-Energy-Water Nexus. The presentation included several sets of statistics related to direct water use as well as indirect or “out of sight, out of mind” water use —which is connected with most of our normal life activities. For instance, the foods we eat require water. The range of average indirect water consumption for one person is 800-2600 gallons of water PER DAY depending on what we eat and our geographical location. Meat production requires many times more water –as well as other resources- than vegetable production. 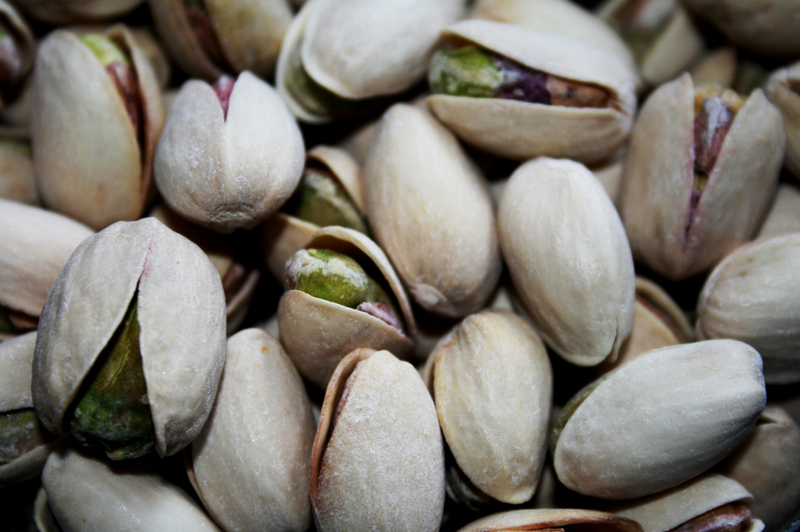 Choosing to eat pistachios (a water guzzling crop) grown in a water scarce area of California may be something to reconsider. Water use in agriculture is also noteworthy when we consider all the food that is wasted; in fact the food waste in some countries is nearly equivalent to the entire net food production of sub-Saharan Africa (United Nations Environmental Programme). Compare the water consumption related to our diet with the average daily household use of 18 gallons of consumptive water use per person. I now don’t feel so bad that I do not currently have my home equipped with the latest and greatest appliances for the most efficient water and energy use. Focusing on my diet can have a much greater impact on water conservation according to these numbers. I already try to be mindful of my food consumption and the impacts of my choices, but this gave me even more motivation to continue educating myself about the food I consume in relation to the water that I am also indirectly consuming. Next was the energy connection. Thermoelectric power requires large amounts of water to cool the power producing equipment. Although this use is largely non-consumptive, it poses problems to the aquatic organisms as it is returned to its source (usually a lake or river) at a higher temperature than it was extracted. Then there is the problem of getting the water where it needs to go. In some states, 20-40% of total energy is used to move or pump water. 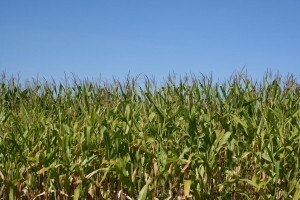 Corn grown for biofuel. Photo: S. Seskin via Flickr CC. I was aware of the controversy with one alternative energy source – biofuel crops – using land and water resources already allocated to food production, adding to food and water pressures. It still surprised me to learn that it takes 1-4 thousand gallons of water to produce 1 gallon of biofuel. Dr. Peters presented the example of filling a 25 gallon fuel tank in a typical SUV with pure ethanol made from corn. 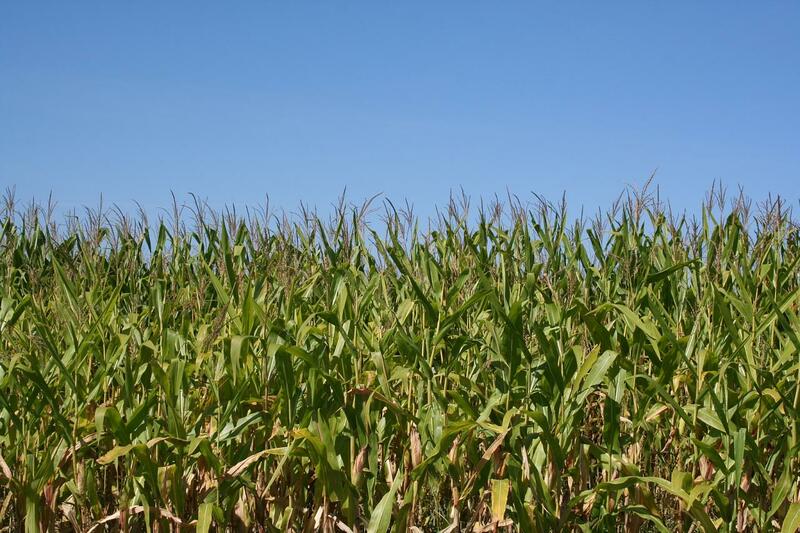 Twenty-five gallons equals 450 pounds of corn which is enough calories to feed one person for one year…. or drive that SUV for two weeks. In our transition to a “Green Economy”, taking into account the associated water use will be necessary to truly increase resource use efficiency and provide sustainable food, water and energy security to a growing population. Are you wondering what your personal water use is and how you can conserve? Check out this water calculator! 2 thoughts on "Green Energy in a Blue Context: Taking Water into Account"
Good observations especially about focusing one’s diet for water conservation more than looking to more efficient water using appliances. Of course that requires individual research, willpower and an awareness of the influence media has on the subject.